I think home-grown creative stuff like this is just great. 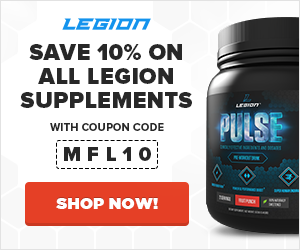 Head over to the creator’s website to show him some support and encouragement while he works on finishing the project! 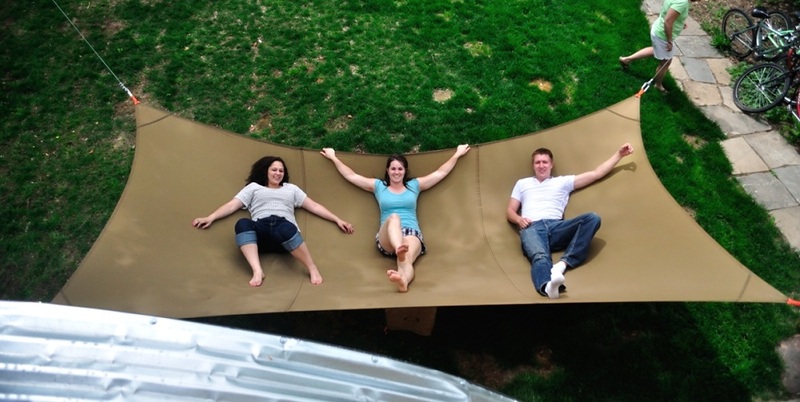 The Mega Hammock takes backyard relaxation to a whole other level. It’s large enough to comfortably fit three people and thanks to its durable construction by an FAA-certified parachute rigger, it can handle plenty of weight. Each hammock is made-to-order by the creator himself and thus can be customized in a range of sizes and colors. Summer lounging may never be the same. 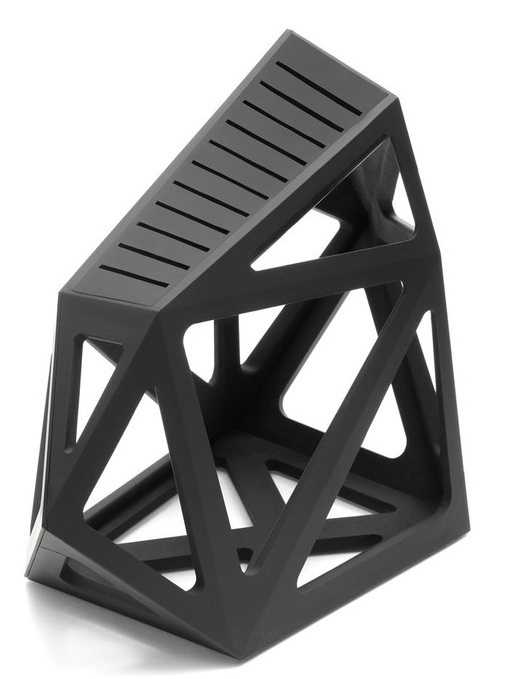 This creative knife block was designed for Edge of Belgravia by Christian Bird, and it features room for up to 11 knives in angled slits that allow for easy extraction as well as a skeletal design that lets you see the blades that you’re grabbing. If you want the full effect, pick up the matching Ceramic Onyx series of knives as well. With the Slingbox M1, you can ditch the TV apps and watch anything on your DVR — live or recorded — no matter where you are. All you do is hook your DVR up to the M1 and connect it to the Internet and you’re ready to go–everything in your set-top box is now available to be streamed in 1080p quality to your phone, tablet, computer, or even another TV via a Roku or Apple TV. Paddle boarding is getting more and more popular these days as a fun, relaxing way to get in some exercise. 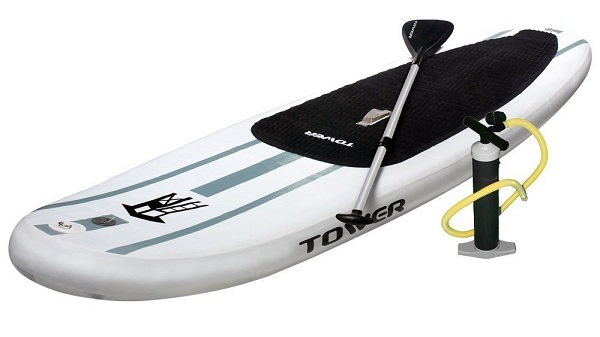 If you’re into it, or want to get started, but don’t live by the surf, this inflatable stand-up paddle board might be right up your alley. It not only looks great, it’s 6 inches thick and extremely rigid, which means you stay stable and your feet stay out of the water. The price is also fantastic considering the average cost of other inflatables and fiberglass boards. With the sheer amount of information we’re hit with every day, it’s basically impossible to live in the modern world without seeing at least some form of an infographic every day. Well, if you’ve wondered how they’re made or are just fascinated by this art as much as I am, then you’ll love Information Graphics. 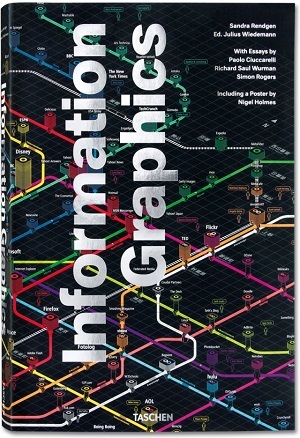 This massive, 480-page book contains over 400 infographic images ranging from journalism to art, government, education, business and much more, each with explanatory text, as well as historical essays about the development of information graphics since its beginnings and the current masters of the craft. 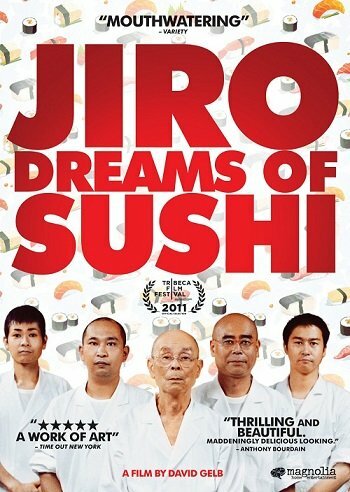 Yes, this is a documentary about sushi. But it’s so much more than that as well. In it, you meet Jiro, an 85-year-old man that has dedicated his entire life to one, single pursuit: making the best sushi the world has ever seen. While Jiro modestly downplays his skills and achievements, his 3 Michelin stars speak for themselves: this man’s sushi is without equal. As you would expect from an award-winning documentary, the pacing, narrative structure, and interviews are handled extremely well and entertain and touch you. What I really loved, however, was Jiro’s complete embodiment of the timeless principles of mastery. Jiro was abandoned by his father when he was seven years old and never saw him again. He started making sushi at 19 and never looked back. To me, there’s something profound and beautiful about a person that has the courage to say, “I’m going to make it my life’s work to master this one skill.” And then actually do it. This approach to living highlights a major common denominator of all the people I know that are struggling in life financially and/or “existentially” (what I am doing and where am I going? ): they’re not really good at anything that matters. For years and years they’ve frittered their time away with meaningless activities, of which modern society offers many, and now they wonder why they can’t earn a good living or why they have nothing they truly feel passionate about? Well, while Jiro’s level of devotion to his craft makes you wonder if he has any secret regrets or unfulfilled wishes, it also shows us how to save ourselves from the misery of listlessness: the way to escape life’s inherent purposelessness is to assign it purpose, and only we can do that. Only we can supply our own light.